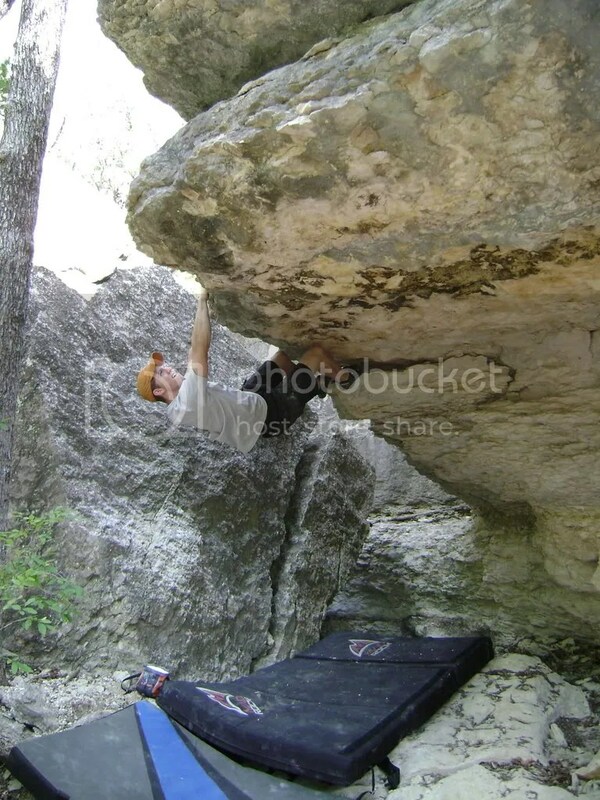 This past weekend, another local and I ventured out to Dinosaur Valley State Park and Big Rocks Park in Glen Rose to search for potential climbing. Despite some very promising photos, the trip was mostly a bust. While there are a few boulders that offer some problems, there is nothing worth traveling any distance for. If you’re in the area and you have a pair of shoes, sure knock yourself out, but otherwise look for your climbing fix elsewhere. The only worthwhile stuff we found was at Dinosaur Valley, found on or around the Blue Trail. Most of it was surrounded by crumbly choss. 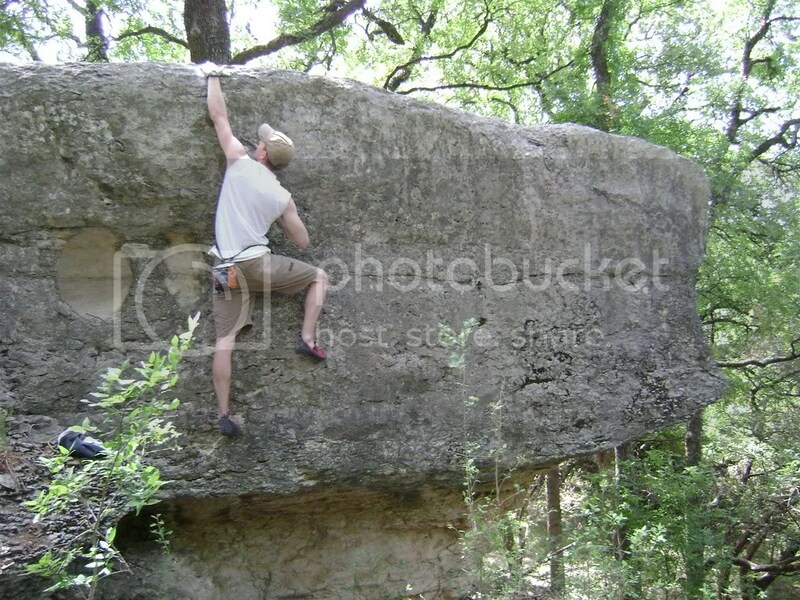 This boulder, which was featured in our last post about Glen Rose, ended up being very tall though this picture doesn’t show it. It has a couple possible routes, all of which would entail some cleaning and would ultimately end up very difficult. The tip of the boulder is very far off the ground, but with a very chossy lower section. All of this originated because we’re aware that the Chisholm Wall is somewhere between Cleburne and Glen Rose. So, if any of you jerks know the directions to the infamous Chisholm Wall, you should confess so we can use our network of political connections/thuggery to open it back up. After twenty years of being closed, its an idea worth exploring.